For a kid, the world is full of corners to investigate, drawers and cabinets to explore, and objects to discover. Curiosity is part of a child’s healthy development, so it’s important to make sure little explorers don’t get into the wrong things, like medications or other potentially harmful household items. 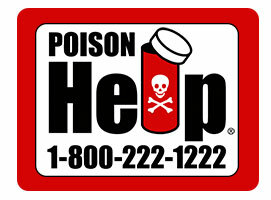 Here are safety tips and information to help you keep poisons out of the hands of your kids. The Kansas Poison Control Center’s hotline, 1-800-222-1222, is available 24/7 to answer your questions or help in an emergency. Ordinary things in your bags, purses, backpacks and diaper bags can be potentially harmful to children. What’s in your bag? Check out the Poison Purse. Electronic devices are getting smaller, slimmer and sleeker. There are remote controls, watches, key fobs and musical greeting cards. Kids love to pick them up, play with them and take them apart, often exposing dangerous button batteries inside. Here are safety tips and information to help you keep button batteries out of the hands of your kids. Carbon monoxide is a colorless, odorless gas that is emitted from fuel-burning sources (such as a furnace or vehicle) and can be deadly. If your family experiences symptoms of carbon monoxide poisoning (often similar to flu symptoms) get into fresh air and call for medical help immediately. Install carbon monoxide detectors in the home to give you early detection so your family can get to safety. Learn more on the Carbon Monoxide Information Center. 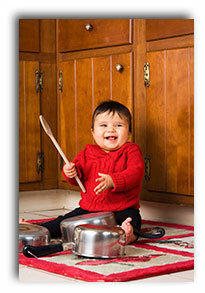 If your home was built before 1978, test your children for lead exposure and inspect your home for lead paint. The Center for Disease Control and Prevention (CDC) estimates 6,400 children under age six in Kansas have elevated blood lead levels from ingesting dust from lead-based paint and other sources of lead. For more information contact the KS Lead Poisoning Prevention Program 866-UnleadedKS or www.kshealthyhomes.org.